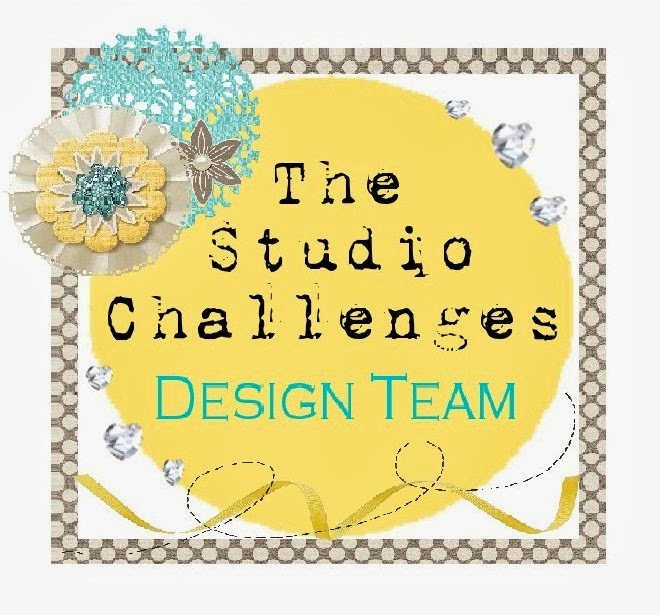 A new challenge at challenge up your life is online! We want to see gift wraps! 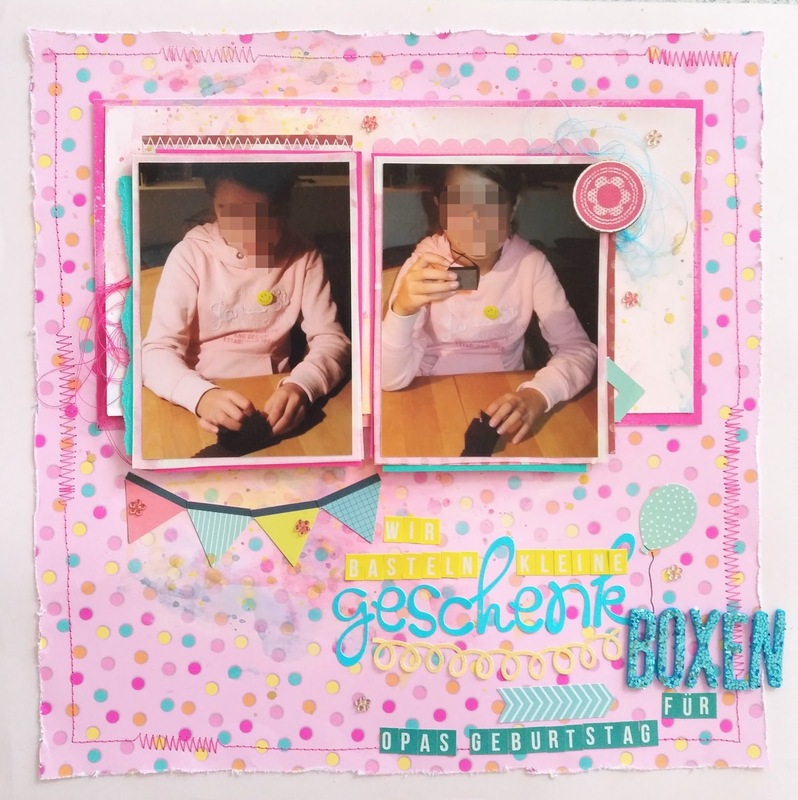 Und das ist nun das Layout. 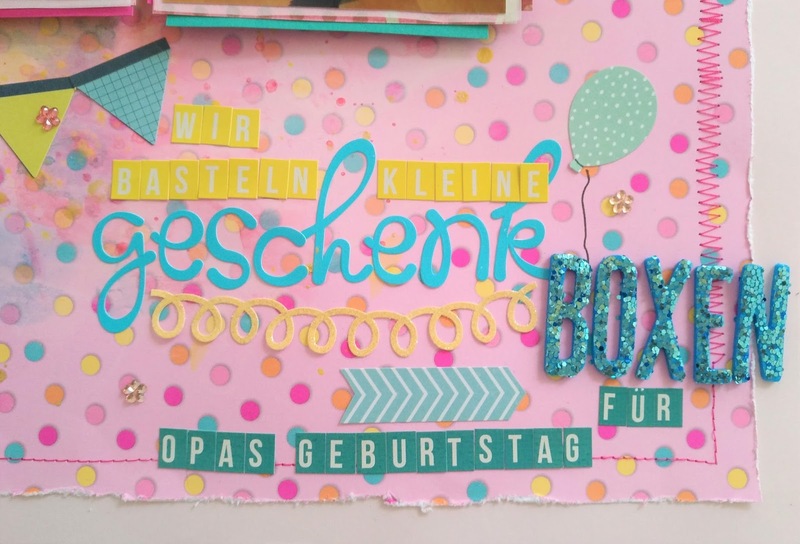 Ich habe dieses farbenfrohe Konfettipapier von Doodlebug design als Hintergrund gewählt, das ich auf einen hellrosa Cardstock genäht habe. 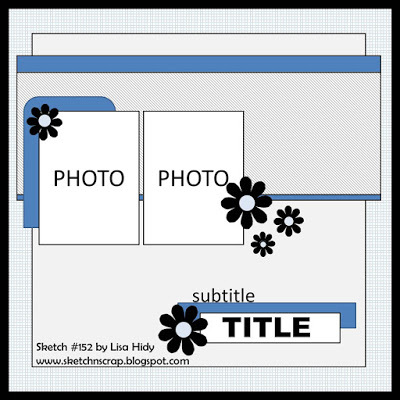 And this is the layout: I used a funny patterned paper from doodlebug design. The text is made of many different alpha stickers. This is so pretty! Love the beautiful title work and the gorgeous colors/papers you used! Thanks for joining us at Sketch N Scrap! You did not mention if the border on this done on a sewing machine. It sure looks real. I am thinking I would like to try the straight stitches mixed with the zigzag on my machine. I see the threads peeking out and I like that as well. I see a CASE in the making. Thank you for the inspiration. Thank you for entering your creation at Sketch N Scrap. This is gorgeous - love the pink, distressing and stitching. Thanks for joining us at Sketch N Scrap! Thanks for joining us at Sketch N Scrap. Great job with the sketch! Thanks for joining us at Sketch N Scrap. This is such a pretty layout! Love your mix of alphas in your title. Thanks so much for sharing with us at Sketch N Scrap!